If you're grieving the death of a spouse or close family member, now isn't the time for major life decisions. The death of a loved one is among the most stressful events a person can experience, according to the Holmes-Rahe Life Stress Inventory. Given the emotional and physical toll a death can have on survivors, it's far from the best time to make serious decisions. In particular, one should avoid making a major career or housing changes during the mourning period, if at all possible. Get the facts on these and the other decisions you should delay with this review. If you're thinking of selling your home or moving because a loved one died, you should delay this decision for at least six months, if possible, because of the other stressors you're likely also experiencing. 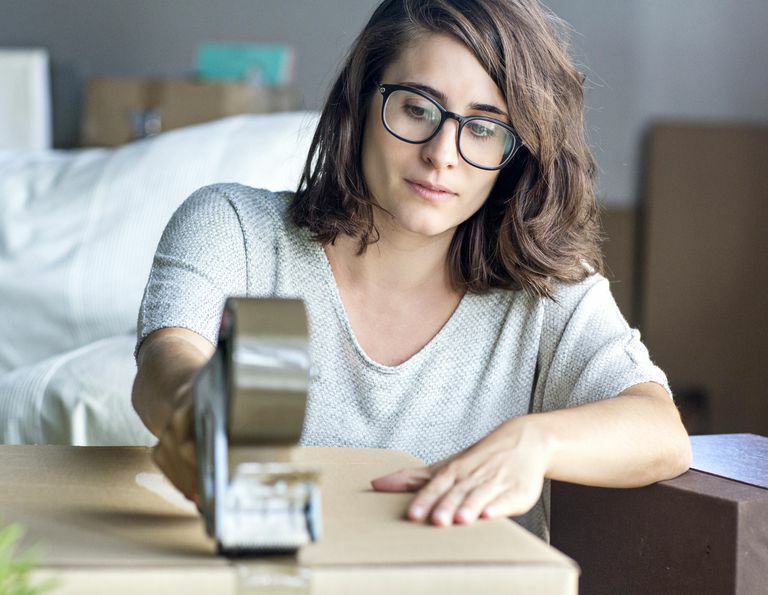 Foremost, finding a new place, selling your existing home, packing and actually moving to a new residence generally proves a huge undertaking at any time. In addition to the fact that you're wracked physically, emotionally, mentally or spiritually following your loss and you've already had to complete many tasks after a loved one's death, moving may not be something you want to do at this point. While it might be tempting to move to escape household reminders of your deceased loved one, relocating may not be in your best interest financially. It's entirely possible that you might view your living or financial situation differently after several months or after the settling of your loved one's estate. So, avoid making a hasty decision if you can. If you've ever acted rashly in an emotional moment by saying or doing something you later regretted, then you should trust that now is not the time to trash mementos, keepsakes, photographs, and other reminders of your beloved even if these items trigger sadness and tears while your grief feels freshest. Once "hauled to the curb" and taken away, these irreplaceable tangible connections between you and someone you love will be lost to you forever. Therefore, you should delay throwing out any items that are linked to your loved one as you grieve. In time, perhaps six months or a year, you might feel differently as you begin adjusting to life after the loss of your loved one. At the very least, you will probably feel better equipped with the passage of time to assess what you truly wish to keep and what you want to toss. If you simply cannot tolerate these physical reminders right now, then consider boxing them up and storing them in a spare room, garage, basement, a friend's house or even a rented storage unit to remove them from your living space. Unfortunately, businesses often fail to respond as employees think they should when they return to work after the death of a loved one. Too often, many grievers find returning to work difficult and contemplate quitting, finding a new job or switching careers. While many factors can contribute to this feeling, you should try to delay quitting your job, seeking a new employer or changing your career for at least six months. Again, while your grief feels freshest, you're probably not thinking "normally" right now because of your heightened, more-sensitive emotional state. Therefore, once you have some time to adjust to your loss, you can re-evaluate whether an employer/career move makes the best sense for you moving forward. For many people, the death of a loved one often forces the survivor to assume a host of new responsibilities, including personal or household financial matters. Widows or widowers, for instance, might not know how to balance a checkbook because their partners always handled the "money stuff." Sometimes, they might need to find a job or a higher-paying one. The newly bereaved also have to contend with credit card accounts, loans or insurance policies their loved one had. The same goes for investments and retirement accounts. You should delay making any major financial decisions for at least six months, if possible. Grief can feel all-consuming and inescapable, so it's easy to understand the desire to simplify your financial situation right now. That said, you are probably not thinking clearly in the aftermath of the death and reacting out of fear is probably not wise. Selling your home, for example, might offer an escape from the reminders of your loved one, but remaining there might prove more financially advantageous in the long run. Likewise, keeping existing credit card accounts or an automobile with a lender lien might help you establish your creditworthiness sooner. Despite the suggestions above, only you know the unique circumstances you face right now following the death of your loved one. If delaying a particular life decision for six months to a year doesn't seem feasible, then you should first discuss the situation with a trusted friend or confidant. Often, simply having a conversation with someone who has your best interest at heart can help you gain a better sense of perspective and, perhaps, help you realize that the situation is less urgent than it feels to you. And if you're contemplating something that would affect your finances, you can likewise discuss it with a trusted friend or confidant but you should also seek the opinion of a professional financial advisor. In addition, ask yourself if there is some way you can make a reversible decision right now. For instance, instead of selling your home because you presently find reminders of your loved one too painful, could you live somewhere else for a while, such as a hotel, apartment or with a friend or relative? Could you rent your home to someone temporarily? If your job feels overwhelming, could you arrange to take a leave of absence rather than quitting or possibly adjust your start/end times for a few weeks? Rather than closing financial accounts because you feel you can't deal with everything right now, could a trusted friend or family member help you manage them or simply handle everything outright for a few months? The most important thing you can do is to take care of yourself while you're grieving. Grief is hard work and takes a genuine physical, mental, emotional and spiritual toll on our bodies, minds, and hearts. Unfortunately, the old adage that "time heals all wounds" isn't true following the death of someone close. Instead, we gradually assimilate the loss of a loved one into our new lives and learn to live with the scar on our heart, but we never truly forget the person who died. For now, trust that you will eventually reach that state, and try to avoid making any major life decisions in haste while your grief feels freshest.